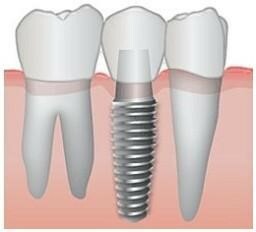 I have taken numerous courses on dental implant (tooth implant) therapy and have incorporated dental implants into much of my patient care. This dental implant training included a two year hospital residency program at Nassau University Hospital in New York where much of the training involved dental implants and cosmetic dentistry and dental reconstruction. In addition, I completed a two-year post-doctoral certification in dental implants at New York University School of Dental Medicine. 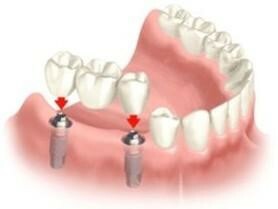 bite balancing therapy with all our implant therapy. Depending on a patient's desires and concerns, I place both titanium and non-metal or ceramic (zirconium oxide) implants. For my titanium implants I use the Straumann implants and for my zirconium oxide (non titanium) implants I use Z-System implants. 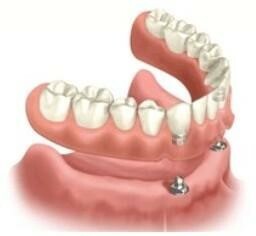 An implant supported non-removable bridge. An implant supported removable denture.